TINKER TAYLOR produced a series of television idents for builders' warehouse Selco, which apear before, during and after Sky Sports' Sunday Supplement and during the ITV News regional sports reports. 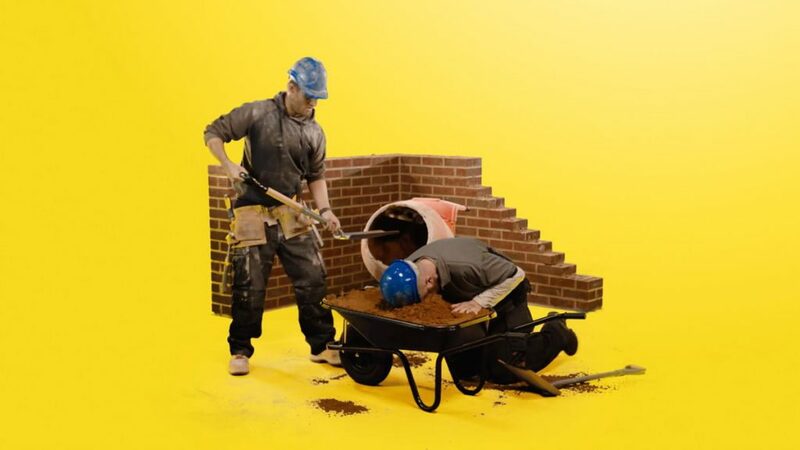 TINKER TAYLOR was commissioned to produce a series of television idents for builders’ warehouse Selco. 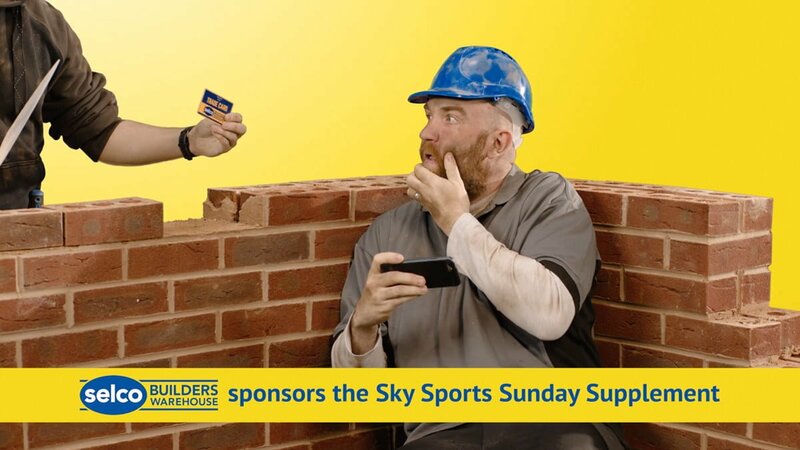 The idents were aired on both Sky Sports’ Sunday Supplement and the ITV sports report during the 6 o’clock news, showcasing Selco’s unique sense of humour to a primetime audience, whilst further enhancing their already established brand. The films were shot in a state-of-the-art green-screen studio in Parkside Mediahouse, a Birmingham City University building. The idents were filmed in 4K on the Sony F55 camera to match broadcast TV quality, utilising the infinity cove floor of the studio, along with all three green-screen walls, to create the sea of Selco yellow you see in the finished videos. 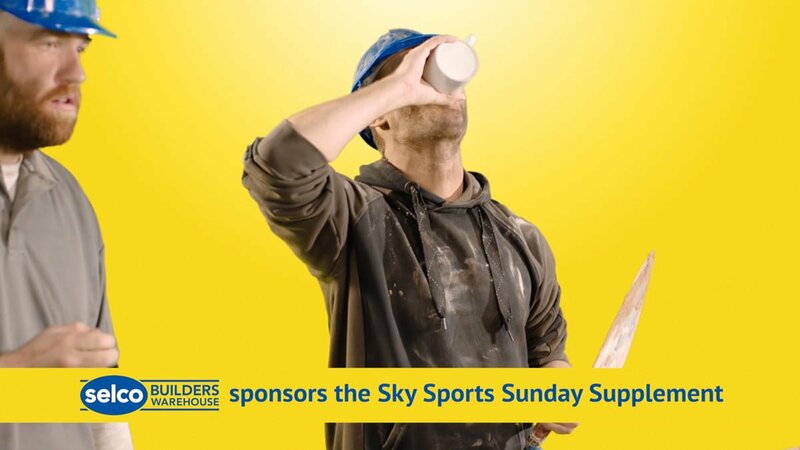 The ads are football centric; juxtaposing the language and imagery of the beautiful game with the hard day’s graft and comradery of a building site, resulting in a series of instantly recognisable and relatable shorts, making people laugh, and brightening the typically dull transitions between the programme and ad breaks.